Recently our students participated in the International Math Challenge VIII. 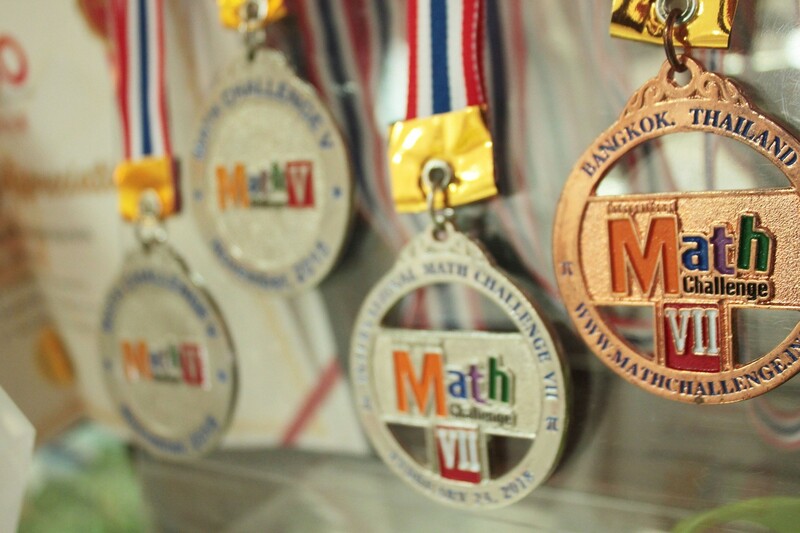 In this international Mathematics competition, our students took home 3 Golds, 3 Silver, 1 Bronze and 1 Merit Award. A splendid achievement across the grades! Please watch the video below to find out more on our student's sucess story in Mathematics. St. Mark’s International School is pleased to share a good news that our students has won 1 Gold, 1 Silver and 4 Bronze medals at the recent final round Hong Kong International Mathematics Olympiad (HKIMO) held in Hong Kong. It was one of the most glowing success stories in our history, where every one of our 6 students, who have been chosen to represent Thailand, all returned with a medal. Our student-representatives were from various age groups, ranging from Prep to Secondary 2. This achievement at an international level, accentuates the strength of St. Mark’s competency in the Mathematics program. This year, 1,300 students from 10 countries participated in the HKIMO. Only participants who have been winners on the heat round (national round) are qualified to participate in the final round international competition in Hong Kong. Content of the HKIMO competition focuses on mathematics skills in logical thinking, number theory, geometry, combinatorics, arithmetic and algebra.